A uniquely Trojan design element – a statue celebrating the women of Troy – stands in the central piazza. The statue depicts Hecuba, the queen of Troy. 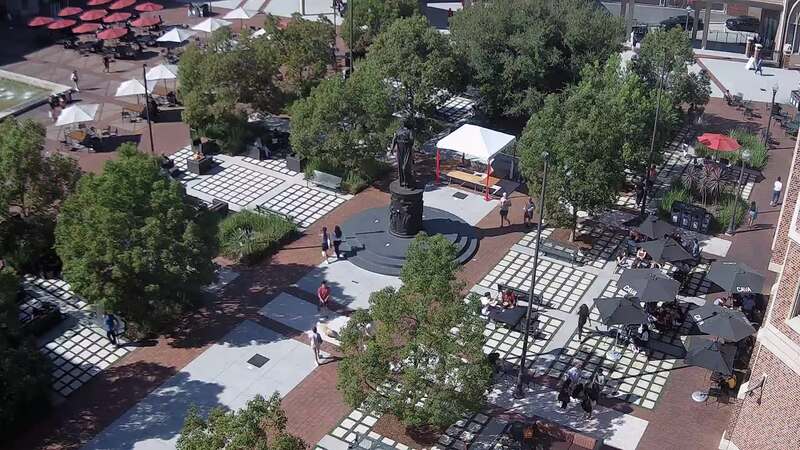 Hecuba serves as an anchor to connect USC Village with the storied history of the university.